Police Report: On Sunday the 11th November, 2012 at 8:00am acting upon information received, San Pedro Police visited 5 ¾ miles North of San Pedro Town where they saw 52 year old U.S National Mr. GREGORY VIANT FAULL, of the said address, lying face up in a pool of blood with an apparent gunshot wound on the upper rear part of his head apparently dead. Initial investigation revealed that on the said date at 7:20am LUARA TUN, 39years, Belizean Housekeeper of Boca Del Rio Area, San Pedro Town went to the house of Mr. Faull to do her daily chores when she saw him laying inside of the hall motionless, Faull was last seen alive around 10:00pm on 10.11.12 and he lived alone. No signs of forced entry was seen, A (1) laptop computer brand and serial number unknown and (1) I-Phone was discovered missing. The body was found in the hall of the upper flat of the house. A single luger brand 9 mm expended shells was found at the first stairs leading up to the upper flat of the building. The body of Faull was taken to KHMH Morgue where it awaits a Post Mortem Examination. Police have not established a motive so far but are following several leads. Gizmodo has posted the official above police statement for the murder of Gregory Paul a.k.a. Gregory Viant Faull. Nowhere in it does it mention McAfee or any of the names of the suspects. 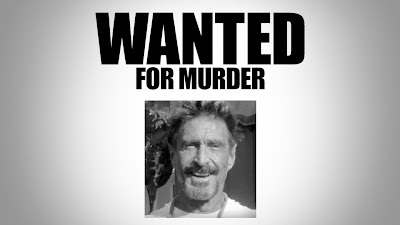 However The San Pedro Sun, a local paper, says the police confirmed that they want to bring McAfee in for questioning. When the police went to his home, however, he was not there. 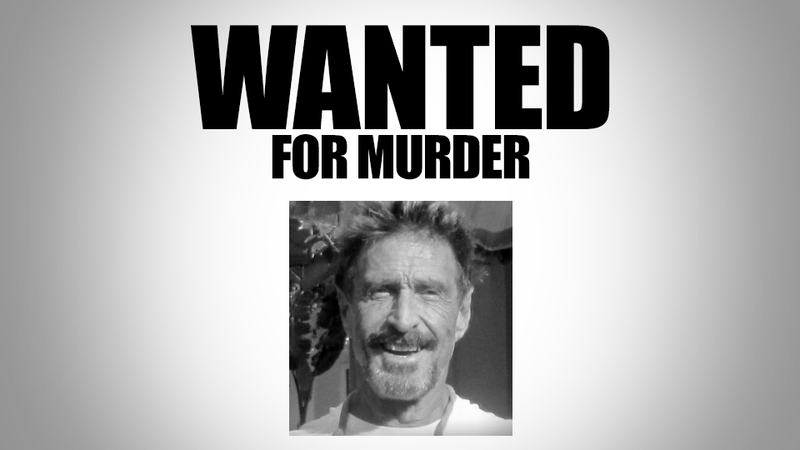 John McAfee of McAfee anti-virus software fame is reportedly wanted for the murder of American expatriate Gregory Paul, who was killed on Saturday night, according to Gizmodo's Jeff WiSE, who cites Belize police for his report. According to Wise, police say McAfee is on the run and a prime suspect in the murder. Also, "the two men have been at odds for some time," the most recent argument having to do with dogs. Paul had filed a complain with the Mayor's office about McAfee for his "roguish behavior," notes Wise. This news comes just a few days after Gizmodo ran a long story about McAfee's increasingly erratic and borderline criminal behavior. In it, he sounds paranoid as he talks about people wanting to take his money and kill him—and he admits to having associated with gangsters in Belize. Note McAfee's marketing slogan: "Safe is not a privilege. It is a right." We'll update as we learn more. Since this report earlier today, McAfee has given an interview from his hideout with US publication wired.com. Here is the link to the interview. TURNEFFE ATOLL RESERVE: SIGNED AND SEALED!